The St. Helens Saints American Legion baseball team takes a 3-3 record into a three-day tournament hosted by Centennial High in Gresham. St. Helens will open the tournament at 3 p.m. Friday against Molalla. The Saints will then play either Madison (Eastside Cutters) or Centennial in their second game. The other four teams in the weekend tournament are Gresham, Tualatin, La Salle and Ridgefield, Washington. St. Helens enters the tournament with wins in its previous two games — a 10-9 victory at Horizon Christian on June 22 and a 10-9 win at Ridgefield on Sunday. The Saints, who are 3-2 in league play, will then visit Wilson for a 6 p.m. game on Monday. 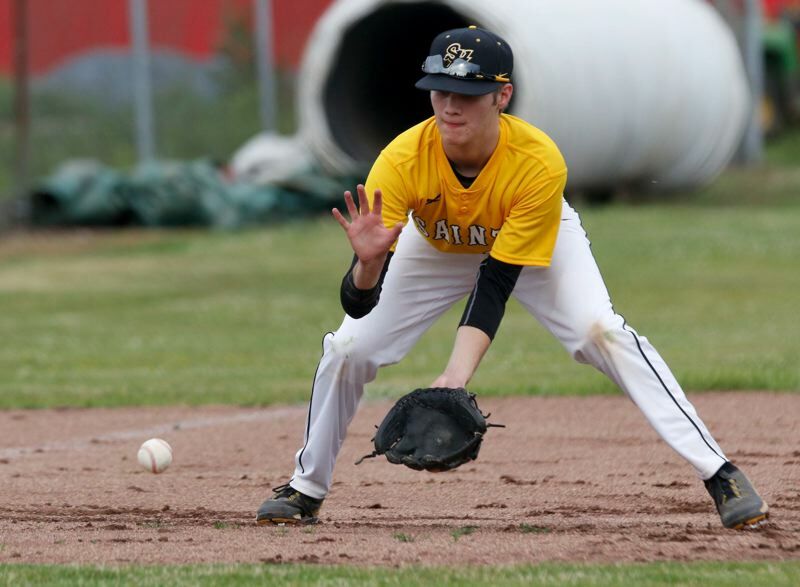 Playing A-level Legion ball this summer, the St. Helens team includes two players entering their senior years at St. Helens, along with six juniors, six sophomores and three incoming freshmen. Aloha 11, St. Helens 7 — On June 21, visiting Aloha scored seven runs over the final two innings to beat the Saints. Jacobi Allen and Jackson Hald each had two of the seven St. Helens hits, and Tyler Tolleshaug hit three singles. Allen started on the mound and had seven strikeouts in three innings. Hunter Vanderwerf struck out five over three innings of relief. St. Helens 10, Horizon Christian 9 — On June 22, the Saints built a 10-0 lead after scoring five runs in the top of the fifth, then held on for the one-run victory. Starting pitcher Justin Olson allowed two hits over five innings. At the plate, Jared Hora had a double and a single, Olson had two base hits and Blake Winnier had one double. St. Helens 9, Ridgefield 4 — On June 24 at Ridgefield, Washington, a four-run fifth inning helped the Saints win. Hald hit a home run and a single. Olson, Nick Brooks and Neil Wolfe each had two hits. Wolfe, an incoming high school freshman, struck out five in four innings on the mound.